Valentine's Day : Get RED-y! Valentine's Day... Probably one of the most polarising 'celebrations' ever. You either love it or hate it, or change your mind depending on your relationship status at the time. Take it as an opportunity to unashamedly have splashes of red/pink with your makeup as a way to get your Valentine's Day on without all the pressure/desperation. Priceline presented me the opportunity to pick some items to get Valentine ready so here are my hand-picked picks for putting a bit of colour into your day! The easiest way to throw on red and pink is on the lips and nails (my weaknesses). Lipstick used to terrify me... But then I grew to love it, fortunately there are different types of products to smear that vary in levels of intensity, colour and pricing. One my favourite lipsticks - ever (yes, ever). Is the Casablanca lipstick from Create Cosmetics, the colour is gorgeous, lasts AND is an indie Aussie cosmetics brand. For something more accessible, I love using Rimmel's Kate Moss Matte Finish Lipstick in shade 106. For those who are looking for something a bit more sheer, I love using Face of Australia's Glossy Lip Crayon range, it's only $4.95 EACH and it is super easy to apply with colour more intense than a lip gloss but lighter than a lipstick which is perfect for the day. It is very moisturising as well. The Model's Prefer Moisture Lust Glossy Lipstick in Cherry Pie has a similar effect but is a conventional lipstick. The perfect thing about nail polish, is that I get to wear colours/textures/styles that I wouldn't normally dare to wear. In my case it is extremely bright colours and excessive amounts of glitter which is all A-OK in nail polish form. I am in love with OPI's Liquid Sands - I just love the texture, the hints of glitter and of course the colours. I'm currently wearing "I'm Brazil Nuts Over You" and it's described as a "textured matte pink." Unfortunately, you can't purchase the shades individually but comes as a limited edition pack with 4 mini nail lacquers as part of the Brazil collection. OPI's Mod About You is a perfect pastel pink shade (which unfortunately, I don't own - but it's on the wishlist!) that is absolutely gorgeous I had a mani done last year with that shade and I still have fond memories. For a very sheer light pink, I would go for Bourjois' 10 Days Nail Enamel in shade 13. I wore it on the weekend for the 'natural' look. 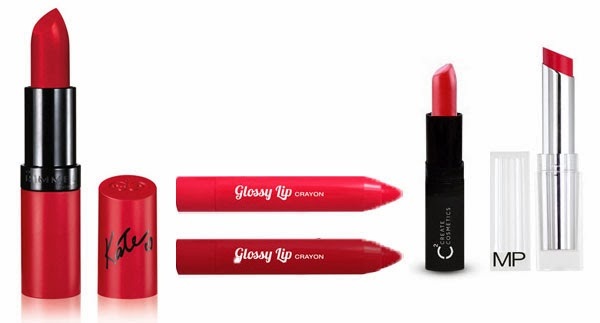 And for that classic red, Revlon's Colorstay Nail Enamel in 120 Red Carpet will hit the spot! 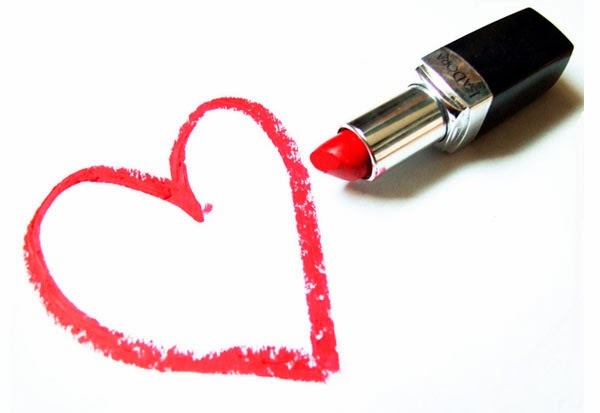 You can't deny the positive effect that splashing a bit of lippy or a fresh coat of paint of your nails will be sure to lift your mood, regardless if your loved up or not! Priceline provided a gift voucher to pick items for this post, this post also contains items that were provided for editorial consideration.